I came to the Andaman Islands from Bangalore to work for a Grouper fish export company, and just fell in love with the Islands. I found sportfishing to be much more satisfying than the company work, and decided to start a charter for sportfishing called Captain Hook's Sportfishing! My wife and I work together to ensure that our charter is operated as a fishing enthusiast's outfit rather then a business – this allows our passion to shine through. 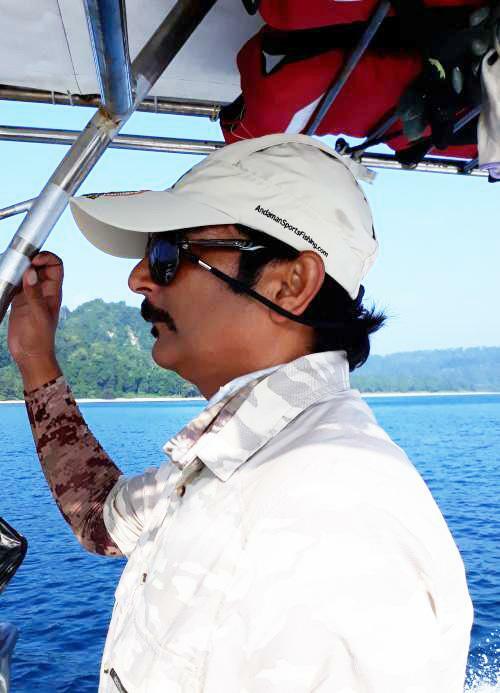 We also operate a fishing lodge at the sea shore on Havelock Island, where we are based. Come aboard and get ready to explore these waters with us. Tight lines! I have 4 boats and one of these is only kept as a back-up. We mostly excel in popping, speed jigging, live and fresh bait, and trolling from spot to spot. Recently in the past few years, we have also started to cater to saltwater fly fishing guests!